When it comes to philanthropy, Americans are a generous bunch. A natural disaster tends to create its own PR appeals, and in 2017, millions responded. We opened our wallets to help victims of floods, fires, and other catastrophes, and the giving season has only just begun. The sixth annual #givingTuesday on November 28 will probably smash 2016’s record-breaking haul of $168 million in charitable donations and thousands of hours donated to those in need. Whether you’re a nonprofit targeting donors or a corporation trying to build customer and employee engagement through a giving program, there is one group of consumers who stand out — millennials. The millennial generation has led the way in online and mobile giving, and many will leverage their personal and professional social networks to support causes that inspire them. Enlightened companies are well aware of the giving power of millennials. Many are adopting new CSR (Corporate Social Responsibility) programs or changing existing campaigns programs to ensure greater relevance to rising generations of customers and partners. 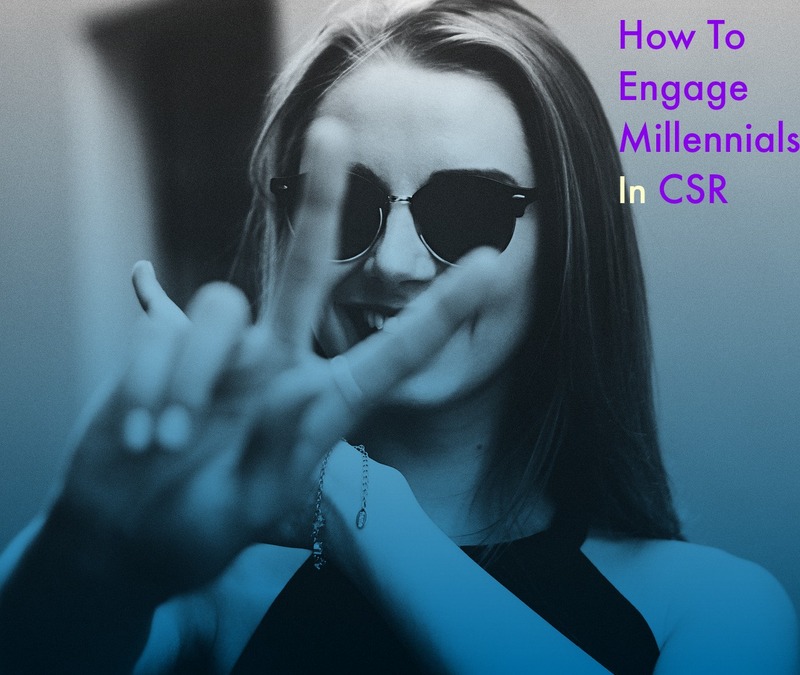 Here are some ways for savvy organizations to develop CSR campaigns that appeal to the all-important millennial demographic. A good story and compelling content are vital, but in the digital age, many of us are saturated with information and demands on our time and attention. There’s an increased emphasis on the impact of donated cash and volunteer time. Charity Navigator sees philanthropic organizations investing in relevant data “to prove their accountability, transparency, and overall health.” So, too, should the businesses and brands that support social-impact programs. This approach fits with the values-driven approach of many millennials and their mistrust of patently commercial or overly branded campaigns. Authenticity means more than just sincerity of purpose. Millennials are more trust-sensitive than other segments, and they are quick to spot a shallow commitment or a giving program adopted for PR purposes. Brands that get behind a CSR program must ensure that the cause is strategic, relevant, and bulletproof. The millennial skepticism also has implications for how a program should be run. It means frequent progress updates in socially shareable news bites, third-party validation for all charitable partners, and social proof of goals met. Even the most inspiring CSR campaign may not break through in its first year or season. The best approach is the five-year-window commitment. CSR programs must be created to scale over a period of years, with clear goals and refreshers along the way. The trick to keeping a program fresh is to vary the PR tactics, like tapping a new media spokesperson, increasing fundraising or volunteerism goals each year, or localizing the story in key markets. But the best campaigns are consistent and drive the brand association over time. The most effective giving campaigns use social and digital communications to keep socially aware loyalists engaged, report progress, and promote success stories. Social media, digital video, email, and PR that generates earned media all play a role here. Millennials tend to be peer-driven and quick to share commitments, so a call-to-action for supporters to share key statistics and stories is likely to bear fruit. In many cases, they’ve already built the social networks, so brands must incentivize them to use those networks to share and engage others. A complicated giving program, or one that asks too much of participants may be short-lived. If in doubt, start local and expand as time and resources allow. And consider campaigns that don’t constantly ask for donations from cause-fatigued consumers. True engagement can be achieved through simple communications as well as commitments of time spent in volunteer hours, evangelizing with friends and peers, and social media support. Brand-supported CSR programs should be developed with involvement from the company’s stakeholders, particularly employees. And it shouldn’t reside only in the PR or marketing department. A true CSR commitment offers a wealth of internal programming and engagement, typically led by HR. There should also be participation opportunities for distributors and partners, and support in some fashion from every corporate department. Corporate support and individual participation by employees have grown as philanthropy has become not just a PR and marketing function but a strategic business priority. An earlier version of this post was published 11/9/2017 on the AMA Executive Circle blog.